Do you type too fast? Google Chrome’s built-in spell-checker can automatically check your spelling in web forms and text fields. What if sometimes you want to use it with any other language than English? 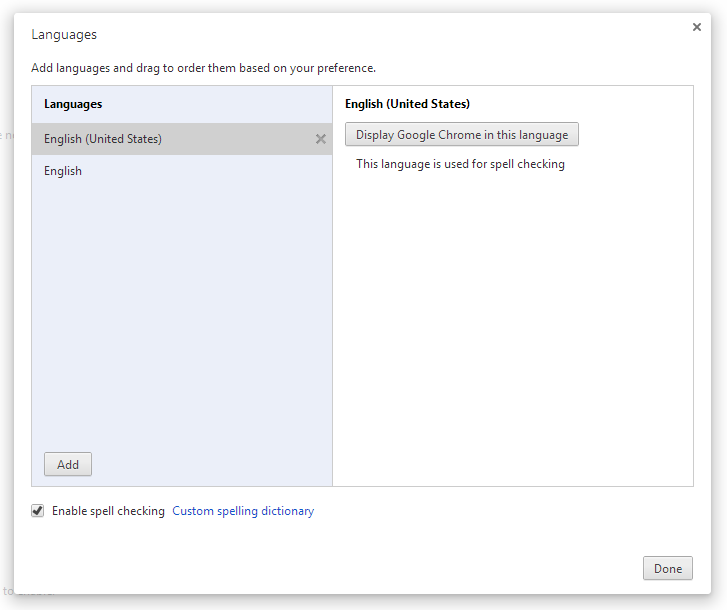 In the “Languages” section, click Languages and spell-checker settings. In the Languages and Input dialog that appears, use the “Enable spell checking” checkbox to turn the spell-checker on or off. If you want to use the spell-checker, select the language from the list that you want to use and click Use this language for spell checking on the right. If the language isn’t listed, first add it as one of your preferred languages.